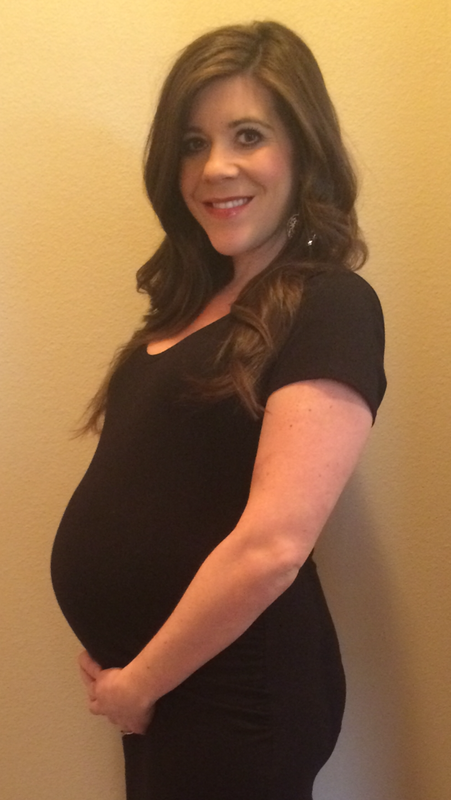 Size of Baby: We had an ultrasound yesterday because I was anxious to know the weight of our little nugget. 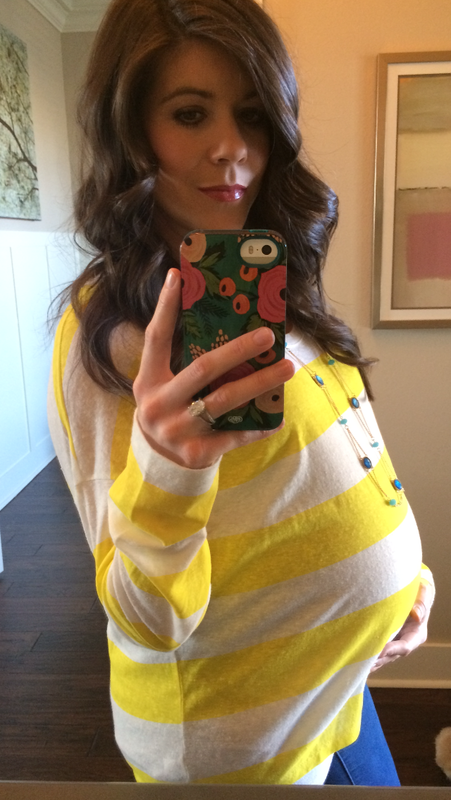 Campbell weighed in at 4 pounds, 2 ounces and measured just a tiny bit ahead at 32 weeks, 3 days. This puts him in the 43rd percentile which is completely average. Babies gain half a pound a week at this point which means if I make it to 40 weeks, Campbell will weigh about 8 pounds when he's born. The Johnson's scared me into thinking I was going to be giving birth to a 10 pounder because "Johnson's have big babies" and I literally lost sleep over how painful that seemed. Now I can rest easy knowing my little guy will be between 7 and 8 pounds when he arrives. How I'm Feeling: This has been a really good week! It's funny how some weeks I feel completely normal and some I don't. I've been hopping in the bed fairly early all week because I've been pretty tired at the end of the day but other than that I've felt awesome! Cravings/Appetite: I've been eating a more bland diet to try to help with my heartburn and it's made such a huge difference. Lot's of sandwiches for me this week. Clothes: I'm really starting to miss being able to wear whatever I want in my closet. I browse through clothing stores and see cute outfits on the mannequins and wish I could try something on. At this stage there's no point in shopping anymore. My clothing budget goes to Campbell now but that's okay because it's more fun to buy him clothes anyway. Movement: Campbell hasn't slowed down yet and is still just a moving. He's head down now and getting prepped to come greet us! Changes in Me: Because Campbell is head down it has made for some extremely uncomfortable moments. I thought it seemed a little early to have this happen but apparently it's not and I assume the pressure is only going to get worse the bigger he gets. In the past I've always really hoped that he would be an April baby simply because April seems like a really nice month to have a birthday. However, if he decides he wants to come in March I am 100% okay with that. 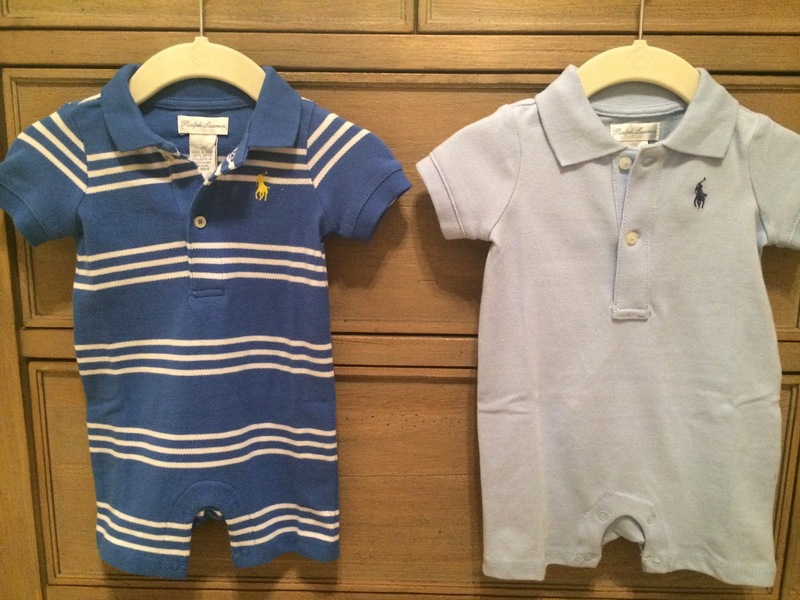 Baby Purchases: I bought two Polo rompers this week that I think are pretty cute. Every man needs a couple of classic Ralph Lauren pieces hanging in his closet, right? I'm trying really hard to mix up Campbell's wardrobe because for the most part, he's going to look like a walking Gap ad. Favorite Moment This Week: Getting to see Campbell on an ultrasound one last time before he makes his big debut! He was so much more squished than he was 6 weeks ago and I could tell he's really fattened up. We got to watch him on 4D for a little bit and we took a picture of him holding his foot with his hand and touching his big toe to his nose. Limber little fella! Looking Forward To: Seeing my family this weekend! Scott and I are headed to Little Rock today for no reason other than to hang out with my parents. I'm excited about seeing them. You look SO good and I cannot believe it's so close to time for him to be here!!!!!! Exciting!!! I can't believe it either. These last few weeks are going by way too fast. March is a pretty good month. I'm game if he is!! Loved putting Mason in Polo rompers. I am pretty sure they made up 99% of his summer wardrobe. They ran small...Mason would be in 3 month everything except Polo rompers would be 6 month. Good to know! I have a pair of polo pajamas that are 3 months and they look kind of little to me. I think the rompers are really cute!! Liam is usually a walking gap ad too! And we found his coming home outfit at the Toggery too (I'm just catching up on your blog). Glad someone mentioned the Polo clothes are super small! Mudpuppy brand is small too. I know you don't have one there, but Janie and Jack has really cute, classic boy clothes. Check it out online. It is pricey but sometimes I just can't help myself!